Here is an article Jilian wanted to share with us here at Cognitive Dimension. Please check out her very interesting and informative blog posts (here) and share. After being diagnosed with mesothelioma cancer or another disease whose effects or treatment cause considerable debilitation, you may have to reconsider certain aspects of daily life including exercise or nutrition. Both exercise and nutrition remain important parts of life while undergoing treatments such as chemotherapy or radiation. For many cancer patients, exercise is something that doctors should monitor and adjust as your condition changes. Nutrition may require supervision as well, but with this, you can retain some independence while still having a significant impact on the way that you feel and recover. Many of the foods that people commonly eat have been linked quite definitively to cancer risks. Anything high in saturated fats, such as meat-based dishes, desserts and processed foods, can increase cancer risks. Often, it is not the food itself, but the way in which it is prepared that causes problems. From example, most doctors would admit that sea food is generally healthy. However, when it is breaded or dipped in oil, it is now just another possible cancer risk. If you have already been diagnosed, continuing to consume these dishes will contribute to ill health and deter the proper functioning of your body. Foods that are low in fiber or high in refined sugars are also bad for you. Low fiber makes it difficult to clear your digestive system while high sugar content can lead to diabetes. That is the sort of complication that you do not need during cancer treatment. The right items in your diet can do more than just provide you with delicious meals during treatment. Food can have a very beneficial effect on your general health. The right meals can assist you during therapy by increasing your body’s ability to withstand the more difficult treatments and help you to rebuild tissues that were damaged by radiation or chemotherapy. 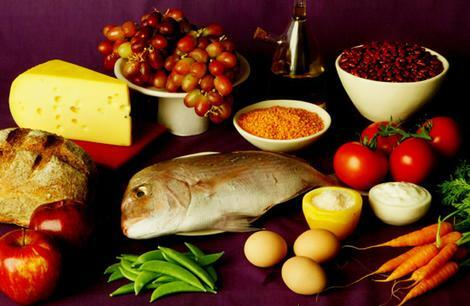 Below are some of the most key nutrients. These nutrients provide your body with energy. Proteins and fats are also fuel sources, but your body prefers to convert carbohydrates into energy. Sugar is a carbohydrate; however, try to incorporate a high quantity of complex carbohydrates, from wheat bread and whole grain pastas, into your diet instead. These sources of energy will break down slowly in your system and lessen the damaging effects of large amounts of sugar. Protein is critical for rebuilding tissues. Your muscles and your organs are all made from a variety of proteins. Your body can synthesize most of these proteins, but there are nine amino acids in which it can only acquire through diet. Many people assume that meat is the primary source for protein. Meat often has a high fat content and can be very unhealthy. Protein should be obtained through plants such as beans, fruits, and vegetables or from nuts. Some fat in your diet is required, but much less than the average person in a developed country now eats. Keep the calories from fat in your diet beneath 15% if possible. Unsaturated fats are best, which are not closely linked to many health problems. Fiber is not a nutrient like the others so it does not function as an energy source. 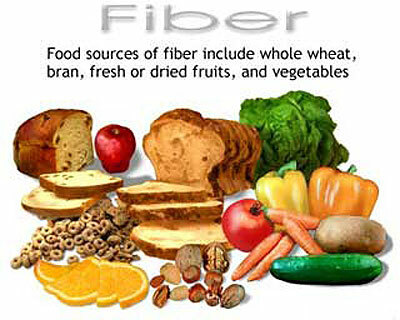 However, fiber plays an important role in creating bulk while digesting. This allows your body to dispose of wastes without hurting itself. Insufficient fiber can lead to digestive issues and cause damage to your intestines. Diverticulitis, the formation and infection of pockets in your intestinal tract, is a result of a lack of fiber. Advice from a registered dietician about your diet will prove beneficial after a diagnosis of cancer. They can help in planning meals in order to feel better while undergoing treatment. Much of the decision-making will be up to you, though, as you plan your daily menus.